Anybody knows what is that? Happens when clicking right mouse button on the taskbar anywhere. Same problem for any skin. I am on Win 10 Pro Build 18252 180928-1410, WB 10.72 beta. Any ideas? I had seen it on that build, yes but that version of Windows is on the Fast Ring of the Windows Insider builds. That's 'Immersive Explorer' rearing it's ugly head again!!! Just to update, I tested an internal fix for this and will be included in an update. Now, just to inform you: Build 18262 screws WindowBlinds up completely. From what I had time to test - it's something to do with the Transparency/Blur. Tried it for a few skins. Didn't have time for in-depth tests. Got back to the previous build - everything got back to normal. Concerning the immersive explorer problem. I used the solution suggested by @fictitiousfellow above (thanks for suggestion). 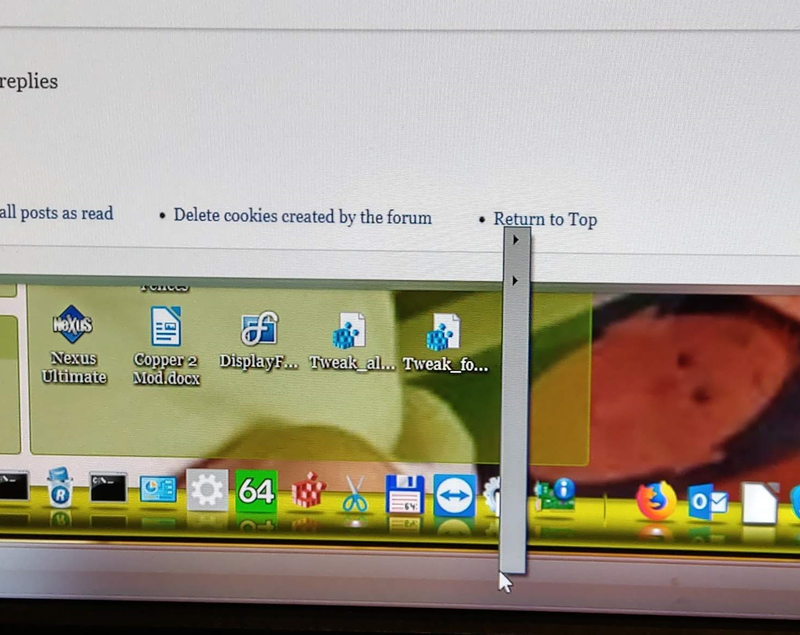 It works for the taskbar. But still doesn't work for the system icons in the tray like: Sound, Ethernet etc. Unfortunately that build of the OS seems to have serious defects which will impact by the looks of it every single skin. It seems to be an offset issue where if a window is 100,100 away from the top left, will get the top 100,100 of its own window clipped off for painting. I would recommend staying away from it until Microsoft resolve their bug. Beta 10.73 has been pushed that should fix this issue. 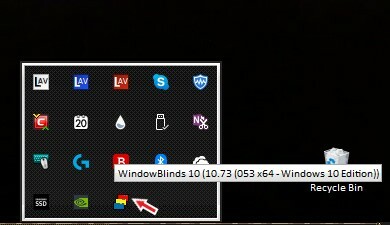 10.73 Beta has solved the taskbar problem. Many Thanks ! Unfortunately, Windoeblinds under Build 18252 and now 18262 runs only with high CPU load and constantly high fan speed as soon as a windowBlinds is activated, no matter which . Excellent. Thank you for your feedback. Being on the bleeding edge of builds, while good for feedback / previews of changes from MS, there is just too much in doubt for us to react to a fastring beta build of Windows. MS could change something at-will and undo any fix we put out. Its an expensive, and inefficient, whack-a-mole. Again, really do appreciate the feedback. Indeed, Beta 10.7.3 solves the immersive explorer issue. Great job, guys! Thank you, Sean, for the prompt response. The 10.73 beta is working great with 17763.104. No complaints here. What should be found after 10.73 beta installation under "Programs and Features"? For me there are still 10.72. Did you uninstall 10.72 first reboot and then install 10.73 and reboot again? Nope the installer should take care of that ? yes, I have done so, but always the same result. What version you get when you check there?